Diocese of York. It is a largely residential community of over 9,000 people straddling the boundary of two local authorities: Middlesbrough and Redcar and Cleveland. It marks the transition from the urban settlement of Middlesbrough to the rural and moorland areas to the south. 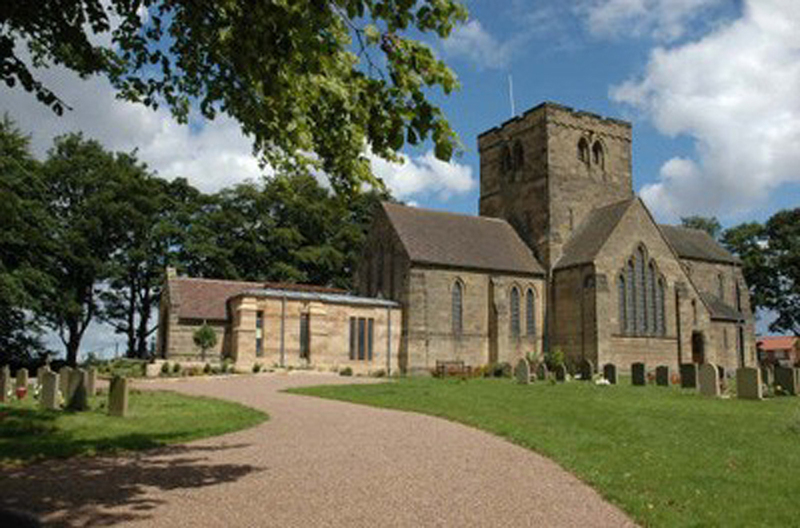 The church, situated on the south edge of Nunthorpe, towards Great Ayton and Stokesley, has a spectacular view of the Cleveland Hills, including Roseberry Topping, and the North Yorks Moors, making it a beautiful venue for weddings. St Mary's church lies within a growing community of active people and we like to think there is something for everyone. Nunthorpe parish takes its duty and obligation to protect all extremely seriously. We have adopted the national Church of England's robust procedures and guidelines. You can find out more about the national policies and procedures at www.churchofengland.org/safeguarding. For our parish safeguarding policy and contacts please click here. St Mary's Church - Seen from the top of Roseberry Topping. Please report any out-of-date, inaccurate or missing information, or broken links to the web master shown on the Who's Who page. 7:30pm - 9:00pm Element 4:12 Youth Group.